Join us Downtown for a fantastic holiday event! 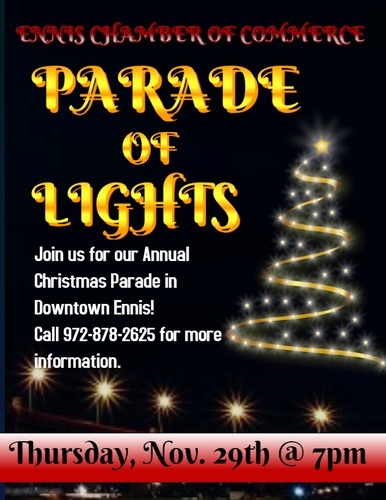 An evening filled with a lighted parade, free children’s activities, store-front inspired events, live music and performances, plenty of photo ops, and free open house at the Ennis Railroad and Cultural Heritage Museum (5-9) featuring cocoa, cookies, and a photo op with Santa! 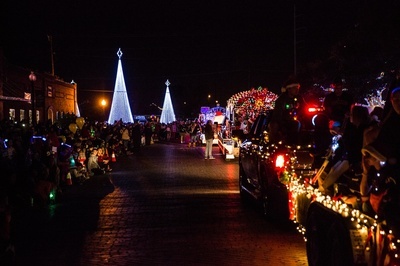 Parade starts at 7:00 pm and all other activities will be stopped during the parade.